On March 10, 2015, Connor Walsh was struck by a vehicle while walking to school. The hit-and-run incident left him with a serious spinal cord injury, a T-12 paraplegic. 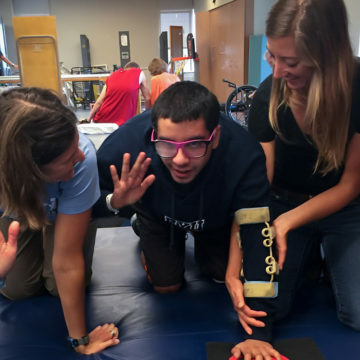 Connor continues to try to balance his physical recovery with the mental and emotional challenges of the life-changing experience. His family has been there for every step, setback, frustration, and victory. 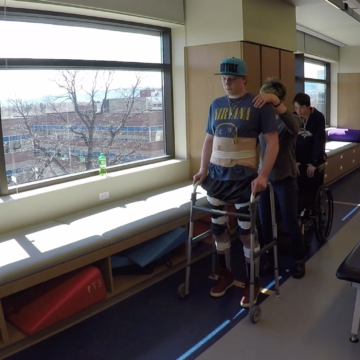 “This spring, Connor made the first small steps toward a new version of walking after a spinal cord injury: utilizing leg braces and a walker to get upright and seeing the world from a different angle than the wheelchair has offered these past 16 months,” said his mother Heather. Connor is looking forward to an active summer. He recently purchased his first vehicle, a 1995 Toyota truck, with the help of Houska Automotive and the Fort Collins community, and will soon start driving lessons. He will also be participating in the No Barriers Summit at Copper Mountain, Colorado, in June and Pedal 4 Possible bike ride for Craig Hospital! 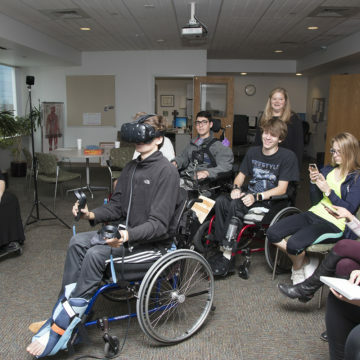 Connor hopes to inspire people by sharing with them that there is life after spinal cord injury, and that sometimes you find more meaning in life than you did before.